All SWEETWATER PLACE homes currently listed for sale in Peoria as of 04/19/2019 are shown below. You can change the search criteria at any time by pressing the 'Change Search' button below. "New Lower Price! NEW GRANITE and BACKSPLASH currently being installed. OWNER SAYS BRING US AN OFFER!!!! What a great FAMILY Home....space for everyone!! This home has 4 bedrooms and 3 baths. One bedroom and bathroom downstairs ideal for an in-law setup, guests, older kids or private quarters!! The home has been freshly painted and the carpet has been updated!! 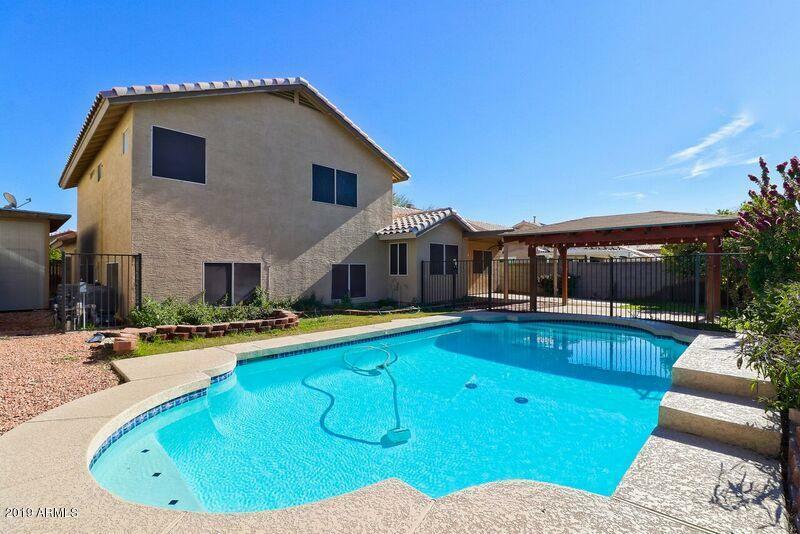 The backyard has a pool and 2 covered patios PERFECT for family gatherings and backyard fun!! Did I mention NO HOA ?? There is Extra "